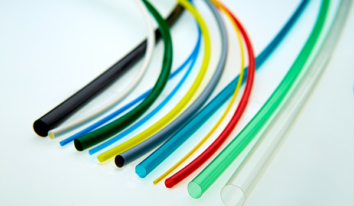 TE Connectivity has more than 50 years of proven expertise in the material formulation, compounding, extrusion, irradiation, and expansion of high-performance heat shrink tubing. With the broadest array of heat-shrinkable materials available, we have many products to suit different requirements and almost any design situation for the medical device market. 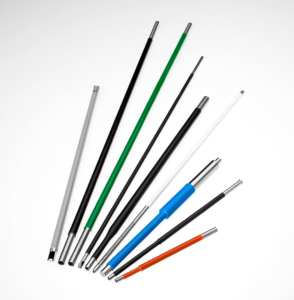 MT1000, MT2000, MT3000, and MT5000 – TE’s heat shrink portfolio offers a full range of products that can be selected for sterilization versatility, flexibility or rigidity, lubricity, and chemical and abrasion resistance. From protective outer sheaths for laparoscopic and electrosurgical shafts, to lubricious layers between inner and out shafts in high RPM applications such as arthroscopic bone shaving. MT-LWA and MT-FEP: TE offers both fluoropolymer and polyolefin-based materials for process aid applications. MT-FEP – With shrink ratios up to 1.67:1, TE’s MT-FEP maintains longitudinal change <10% to reduce lot-to-lot variability and enable consistent shaft reflow processes. MT-FEP is offered in shrink ratios up to 1.67:1. MT-LWA – With shrink ratios up to 5:1, TE’s MT-LWA is perfect for reflow applications where FEP shrink ratios are not suitable. MT-LWA has excellent tear propagation, allowing it to peel easily and without the use of blades. It’s optical clarity and optional controlled shrink force make it an exceptional process aid for hot jaw bonding and laser-weld application, such as balloon bonding. MT-PBX and MT-PBX/PBX – Single and dual wall PEBA heat shrink with walls down to 0.001” and shrink ratios up to 4:1. MT-PBX/PBX – Dual wall PEBA; outer layer will heat shrink and inner layer will reflow to join with underlying braid to create a braided catheter shaft without the use of a process aid such as LWA or FEP. MT1000, MT3000, MT5000, and MT5510 – Provide durability and protection from temperature and chemicals through repeated flexure.